Vinyl Wrap with the Red Splashback! 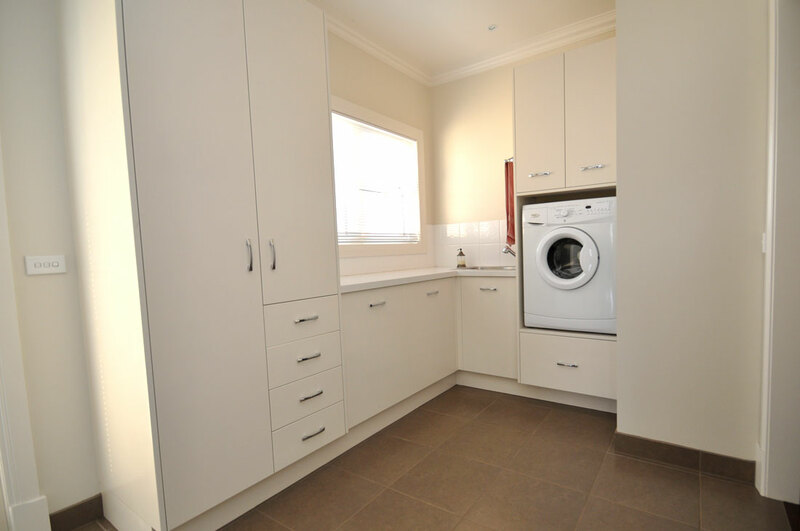 A Laundry you love working in?? 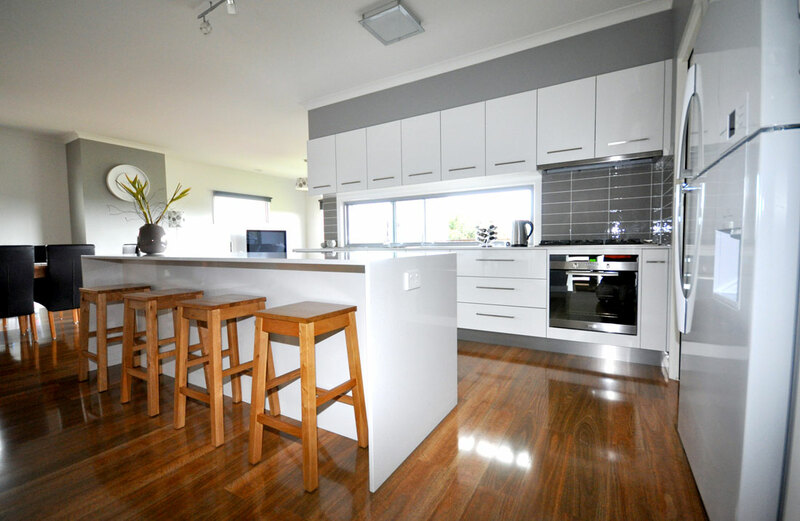 Omega Designer Kitchens is a family business operating since 1978. 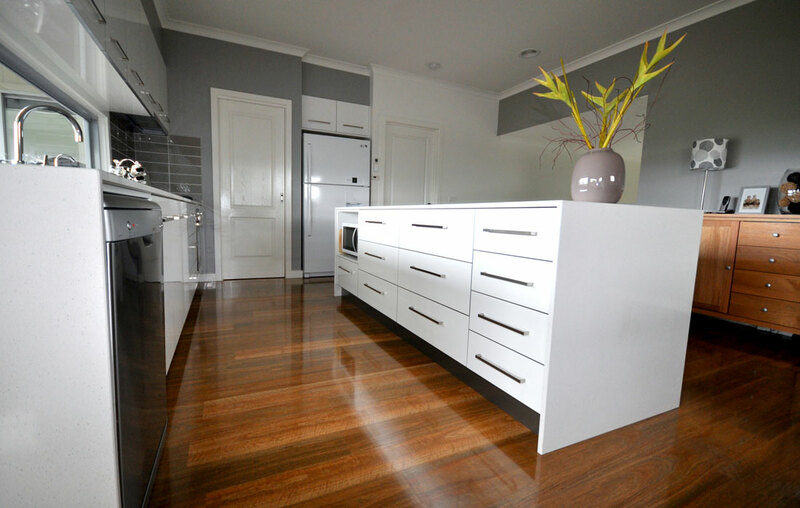 Based in Warrnambool, Omega Designer Kitchens is south-west Victoria's premier cabinet-making firm with a rich tradition of quality and service. 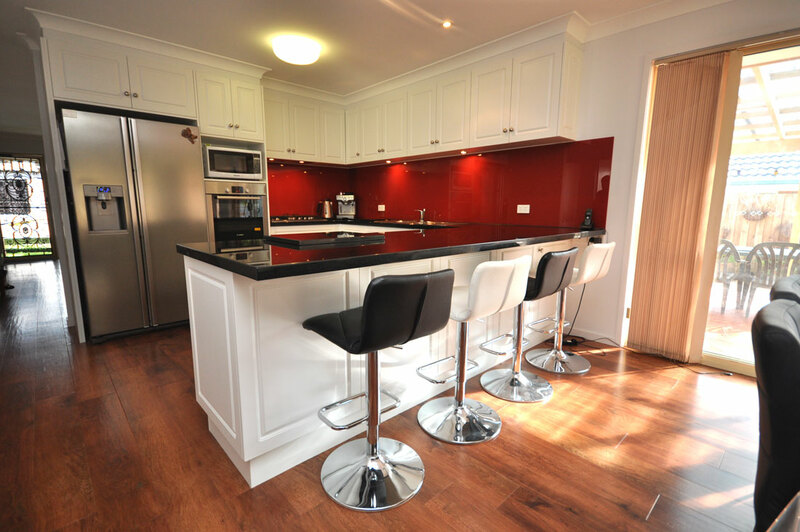 Omega Designer Kitchens are certified Registered Builders, allowing them to design and complete an entire project by coordinating all the various trades needed, whether a small bathroom renovation or completely new kitchen/ eating area revamp. 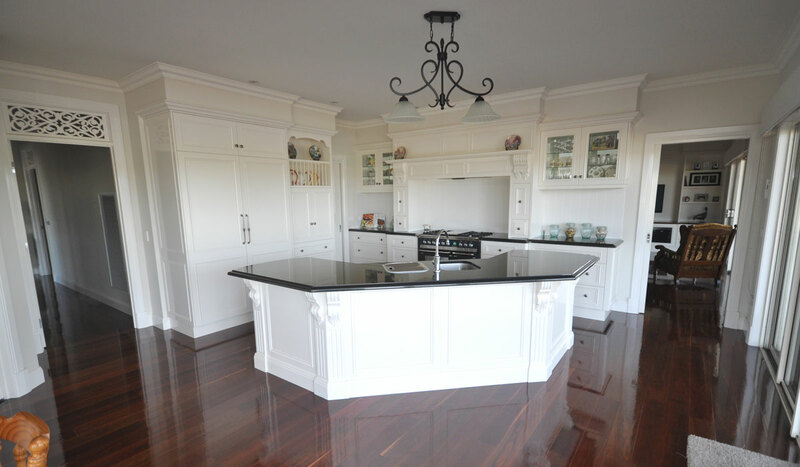 A qualified in-house Kitchen Designer with full CAD 3D services to produce custom designs. In-house 2 Pak facilities to produce any clear and colour coatings required. Experienced staff with high level qualifications. 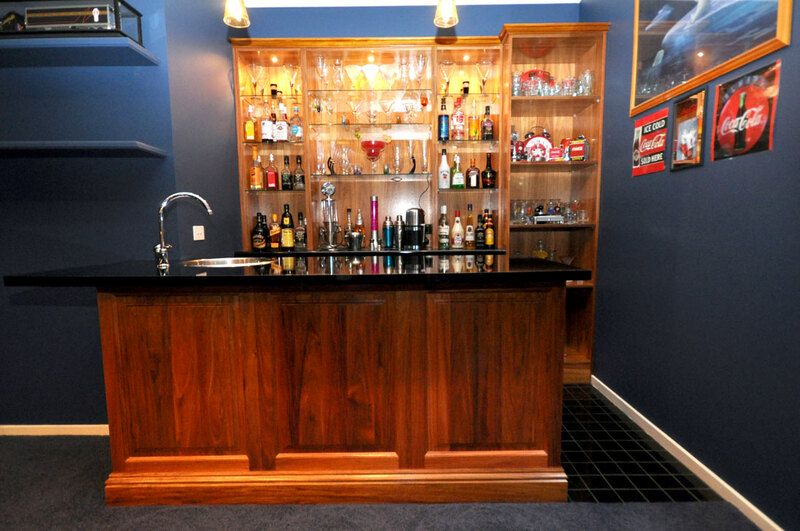 Complete installation service by the same experienced staff. Quality hardware fittings - only recognised European brand hinges and drawer runners used. Just a letter of appreciation for our new kitchen. We are thrilled with the finished product. 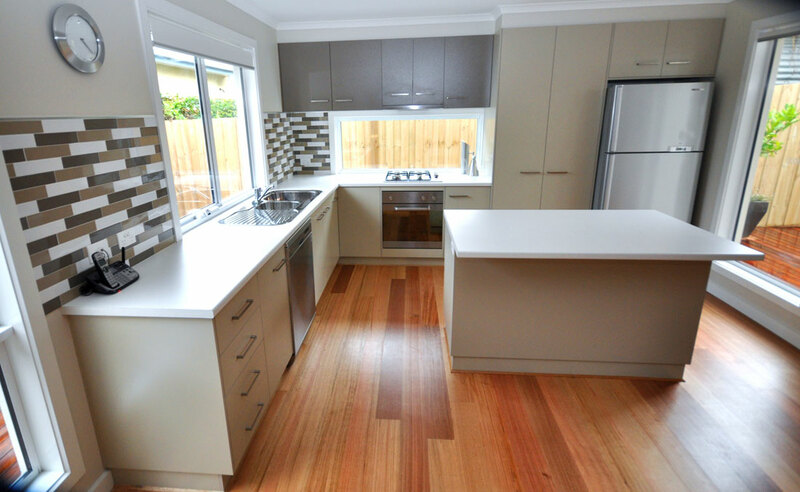 Thank you for your patience and guidance in helping me to get the kitchen that I am thrilled with. 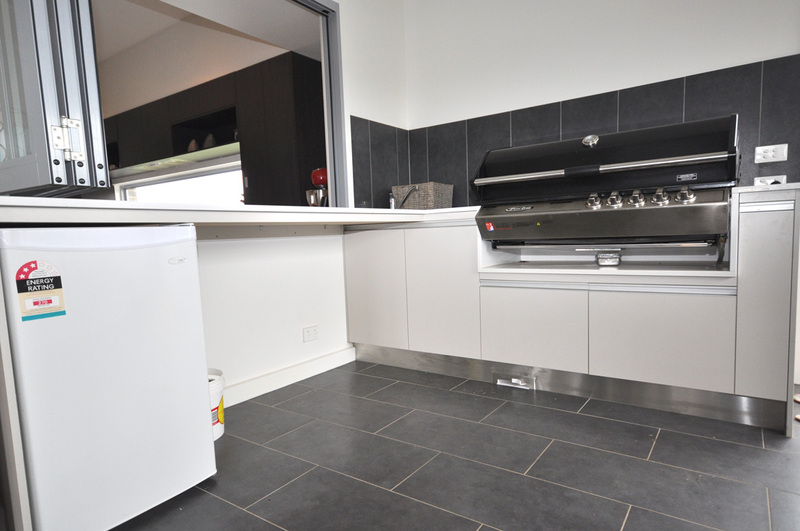 It is totally functional, the finish is exceptional and it was finished quickly and we were back in our new kitchen with all tradies organised to work together and get it all to happen effectively.